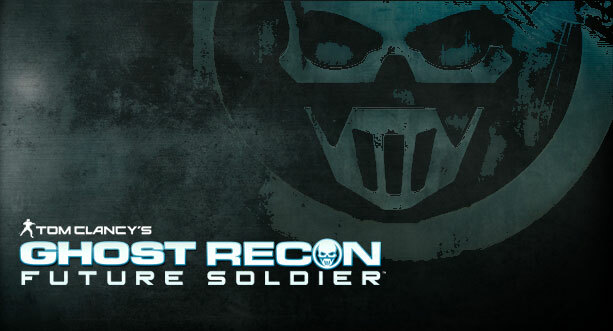 Ubisoft has recently launched this amazing game called Tom Clancy’s Ghost Recon: Future Soldier, it is the next installment of the Ghost Recon Series, which was very popular from the last decade. As the name suggests, this fifth installment of the series is set in a futuristic environment and gameplay involves future warriors. This PEGI 18 rated game has been released for PC, PS3 and XBOX 360. The release was delayed several months for various reasons. As a result it came out with better features and improvements. Playing this game from the past few days, we have observed a lot of pros and cons. 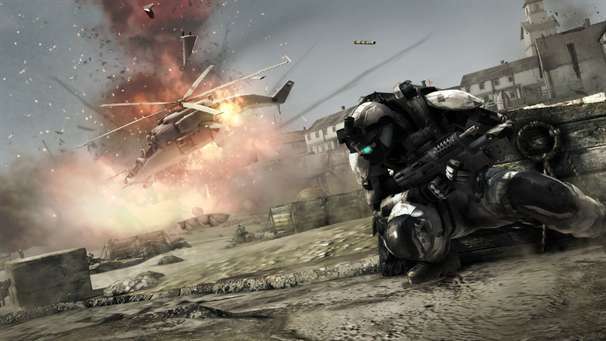 Putting them together, we give you the Tom Clancy’s Ghost Recon: Future Soldier Review! As mentioned earlier the game is set in the future and it features some pretty high end graphics. The game is built on the enhanced version of Ubisoft’s YETI engine. Few of the wonderful features of the YETI engine are the real time Dynamic shadows & lighting, Dynamic physics, Heat wave & effects and Dynamic fire & smoke. Games like Beowulf and the previous Ghost Recon series games also used the same engine. Future Soldier, pays great attention to detail and it’s really visible in the cutscenes and environments. This give the users a real time cinematic experience. But, if you are a Call of Duty or Battlefield fan, then the graphics might seem a little mediocre. In some situations the faces look waxy and the background have low level details unlike the other high end games. More or less the graphics of the game are pretty satisfying thanks to the volumetric lights, ambient occlusion and powerful anti-aliasing. This cover shooting based third person game is set at various locations including Norway, Pakistan and Russia. When the player aims down the sight, game shifts the camera to first person view unlike the usual third person shooters. The players have to make use of stealth during the campaign mode. If this game is played like other action games the player will find himself in the midst of heavy enemy fire. But the three features which give the players a realistic experience are the Sync Shot, Adaptive Camouflage and Gunsmith. In the midst of mission, the Ghosts perform ‘multiple kills at an instant’ aka ‘synchronous kills’ as each member of the squad takes one enemy down at the same time. Another cool feature in the game is Adaptive camouflage which makes the Ghosts almost invisible. Gunsmith allows the gamers to customize their weapons extensively and test it before taking up a mission. The developers have done a wonderful job in the sound section as the sound effects and sound detailing is brilliant. Even the smallest of sound effects are audbile and give the gamers a cinematic experience. Overall, the sound effects are brilliantly and the soundtrack of the game doesn’t disappoint either. The dialogues may not be that effective, but they do leave an impact after playing the game. On the whole we recommend you to plug in quality headphones to enjoy game the in game intensive sound effects and background score. The game provides intense cooperative, campaign game types. Coming to Multiplayer mode, Future soldier has four different game modes namely Conflict, Decoy, Saboteur, and Siege. Conflict provides the gamers with a wonderful team death match experience. In Decoy mode the players must secure objectives out of which one is the main objective and others are decoy. Saboteur mode has a explosive located in the midst of the map and the team’s objective is to get it to the enemy spawn and detonate it. In the Siege mode one team must attack and capture an objective which the defenders are defending. The Guerilla mode allows four players to play in co-op mode and their main objective is to capture a HQ. Later waves of enemies will attack and try to get the HQ back. Multiplayer mode gives the gamers to choose one of the three classes namely Rifleman, Engineer and the scout. In conclusion, Ubisoft has done a wonderful job in making an action game which is different from its competitors. Graphics and sound gets the player heavily involved in the game. Multiplayer mode is also very addictive. If you haven’t played the game yet then we recommend you to grab the game, plug in your headphones and game on! Graphics could be better at some instances. One time use code is provided to play multiplayer. Used copies may not get full online access. If you are looking for more detailed info, you can always check the official website. Please share your thoughts via comments and let us know what you think of the Tom Clancy’s Ghost Recon: Future Soldier Review. Akshay Kaladi is a B.Tech graduate in Electrical and Electronics Engineering. He is passionate towards gaming and became a part of Official Indian Call of Duty 4 Community. He is an active E-sports member which made him won many national championships.